"Lee repeatedly broke and drove back the advancing Union armies. 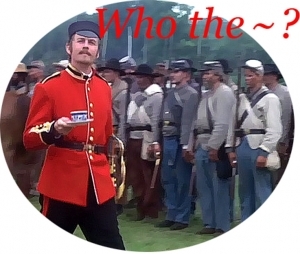 Then in the summer of 1862, he took the aggressive and invaded the North. His eager and victorious soldiers hoped to sweep successfully over the entire country. But they were met in Maryland at Antietam Creek by the Union army commanded by General George McClellan. The battle that ensued was the bloodiest and the most costly single day of strife in all this awful war." "The torrent of natural life has swept away the bitter memories of brother struggling with brother. In both North and South faces are turned from the past, and hearts are filled with pride and hope and aspiration for the future of the republic....The magnanimity which Grant displayed at Appomattox, the restraint which even political temper displayed during Reconstruction, stopping short of confiscation of property and the execution of prominent leaders...these things furnish a new chapter in the history of victor and vanquished." Looking back on the American Civil War from a vantage point of fifty-seven years, these two versifiers, both highly schooled in Southern lore, penned these Dixie ditties for their South-land readers of Confederate Veteran Magazine. 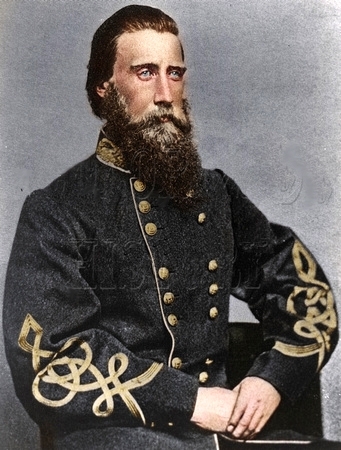 Nathan George "Shanks" Evans (1824 � 1868) was the Confederate general in charge of the rebel forces at the Battle of Secessionville, South Carolina. Attached you will find his two page report written upon the conclusion of that battle on June 19, 1862. This battle marked the first major attempt by the Union Army to take the Rebel city Charleston, South Carolina. "The Southerners were a 'gun-totting race, so that there were enough firearms for the first round of the struggle at Bull Run." Click here to read a similar article on this subject. In response to the article posted above, one of the readers of Confederate Veteran Magazine wrote to the editors to point out an over site that was made concerning an important center of military production for the Confederacy. The reader wished to remind all concerned that Columbus, Georgia was home to numerous "manufacturies" that served the rebels well in so far as the production of swords, brass cannons, harnesses, revolvers and rifles as well as wool and leather goods for the infantry.